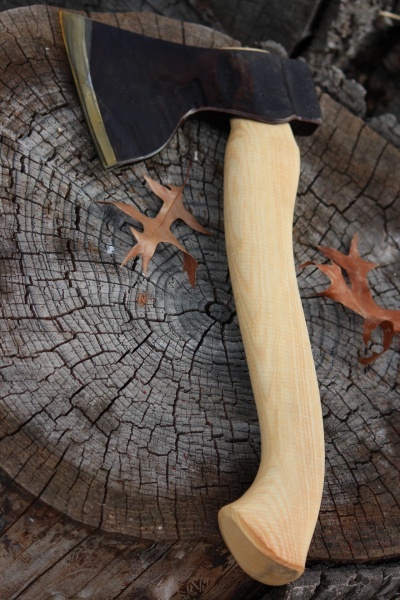 S. Djarv Swedish handmade Wood Axe. 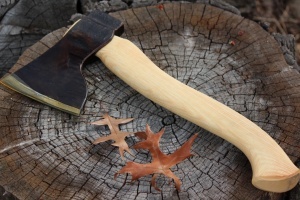 Entirely handmade axe from a blacksmith in Sweden.These are superb woodworking and timber cutting axes, heavy large cutting face with shortish handle for dexterity in tight spots and short accurate strokes with maxiumum 'hit'.Using a forged carbon steel head, made in the traditional way, many man hours go into this axe. Made entirely in Northern Sweden by Svente Djarv. Axe head weight is 3 3/4 LB's, cutting edge is 5 3/4 inches, OAL is 17inches. Carbon steel, local 'Northern' Swedish birch handle.Made by S Djarv. Purchase through PayPal by using the "Add To Cart" button above or use the form below to order the S. Djarv Swedish handmade Large wood Axe . 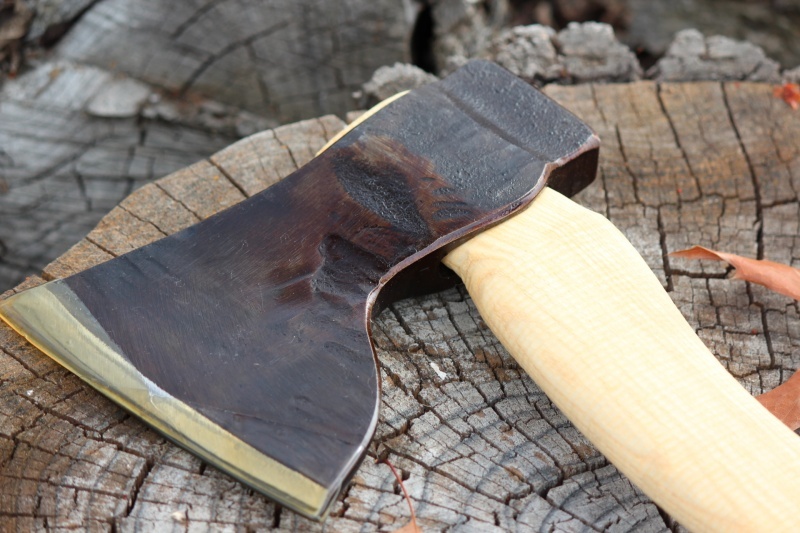 Feel free to contact us if you have any questions about the S. Djarv Swedish handmade Large wood Axe .